When a passion for nature teams up with a passion for architecture you get Arknat which is an architectural festival where students from different Scandinavian schools of architecture create architecture which lets us see, live and experience nature in new ways. The High Coast area in the Gulf of Bothnia is designated a World heritage. It’s a place of spectacular nature and breathtaking views. Here, outdoorsman and entrepreneur Jerry Engstrand from Friluftsbyn teamed up with Martin Björklund and Kristina Tengstrand from Sweco Architects to create this event. 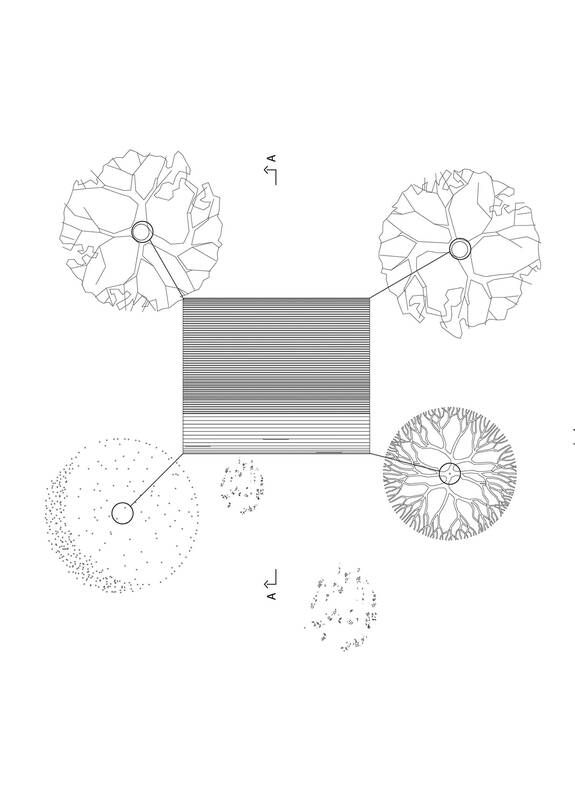 Applications for Arknat 2018 is open and we wanted to share last year’s projects. Arknat 2017 focused on three different sites where new resting stops or shelters were constructed with special attention to the relation with the surrounding nature. 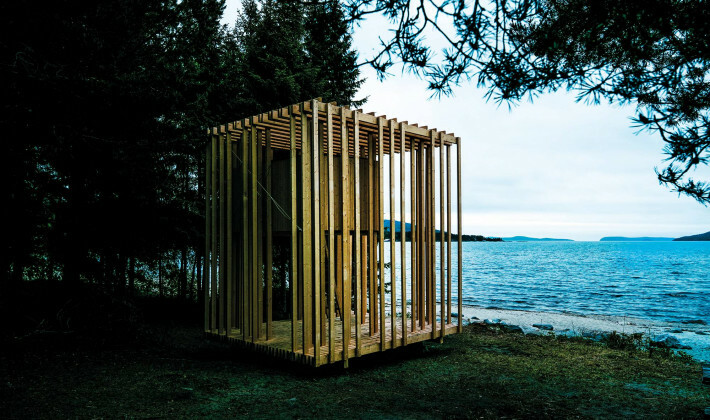 In a clearing at Hålviken's beach, Köpmanholmen, the students in Team Sea designed the shelter Skogsdunge which translates to Thicket or Grove. 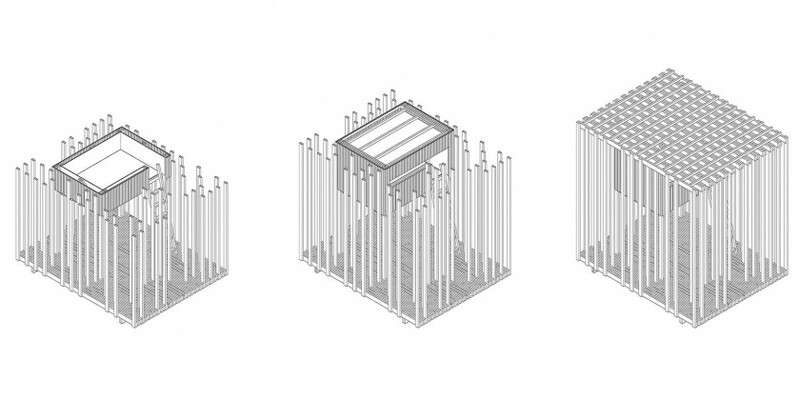 The idea behind the shelter is to create an artificial forest, constructed of vertical elements built into stacked sections that hold the structure standing. 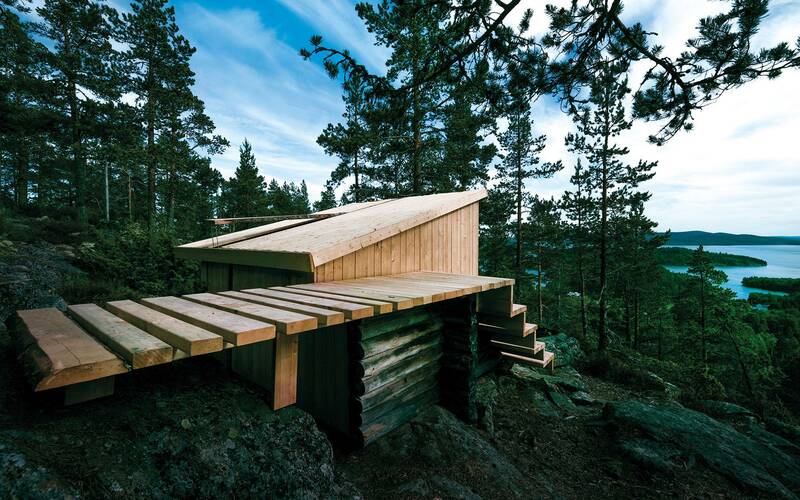 At the height of the trees of the surrounding forest, floats a lightly sheltered overnight cabin for two people. The floor of the sleeping spot creates a simple roof, and the artificial "trees" create hiding places, walks, and obstacles to explore and experience nature through. 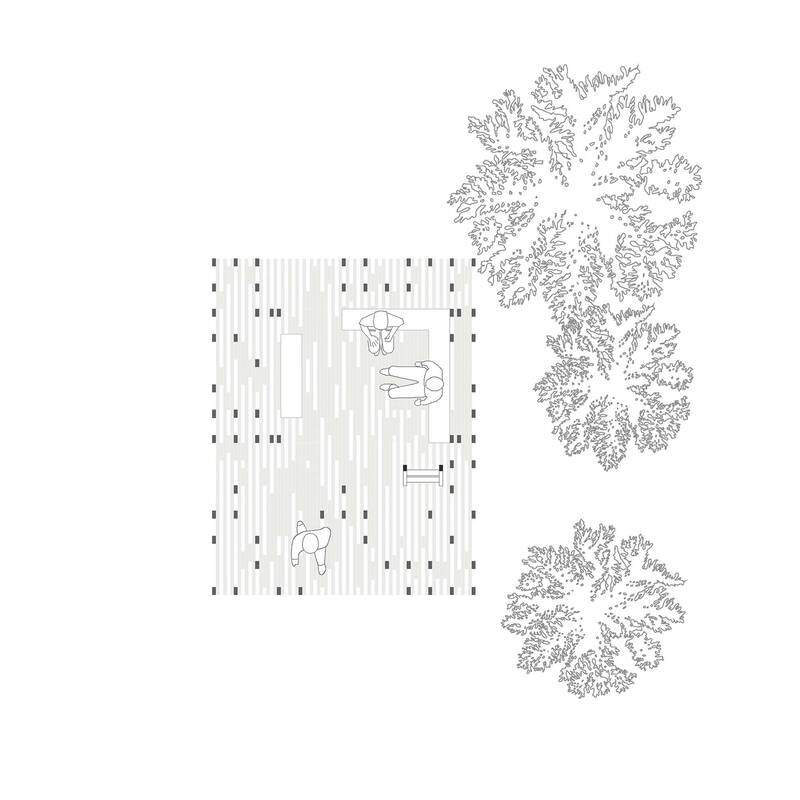 The concept consisted of creating a building that communicates with the site and the clear-ing it stands in, and relates to its exposed location facing the sea. 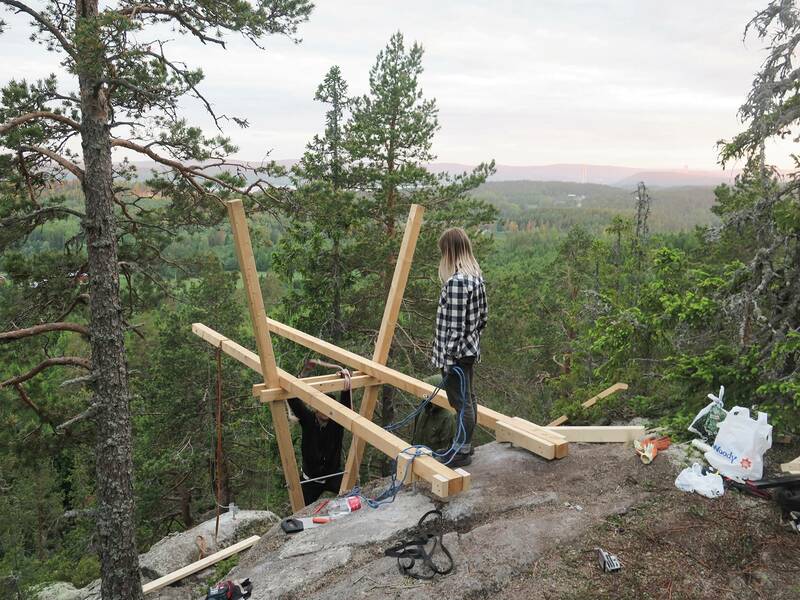 The students in Team Mountain worked with the characteristics of the existing situation on top of Kulberget and tried to enhance the defining features through their intervention. 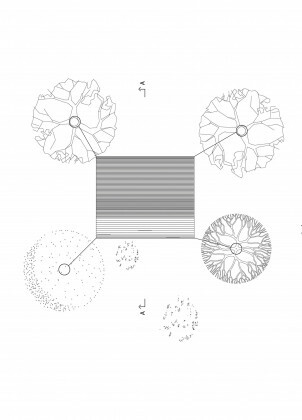 “We wanted a visitor to move with the mountainscape smoothly, over a reinterpreted weather-cover, out into a view among the treetops,” the team said. The old shelter was a timber construction with a damaged roof and a damaged foundation. The team chose to reuse some parts – combining new and old materials and techniques. 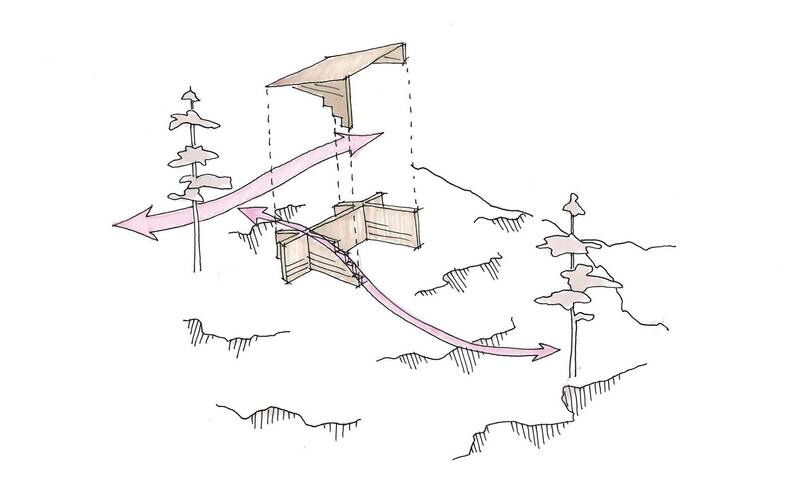 Transportation, with helicopter due to the inaccessible site, was one of the biggest challenges. 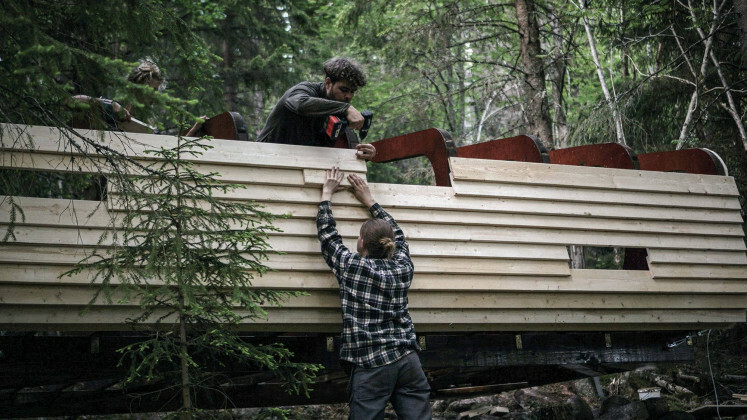 The team designed and built modules to be air-lifted and then placed by hand on-site. 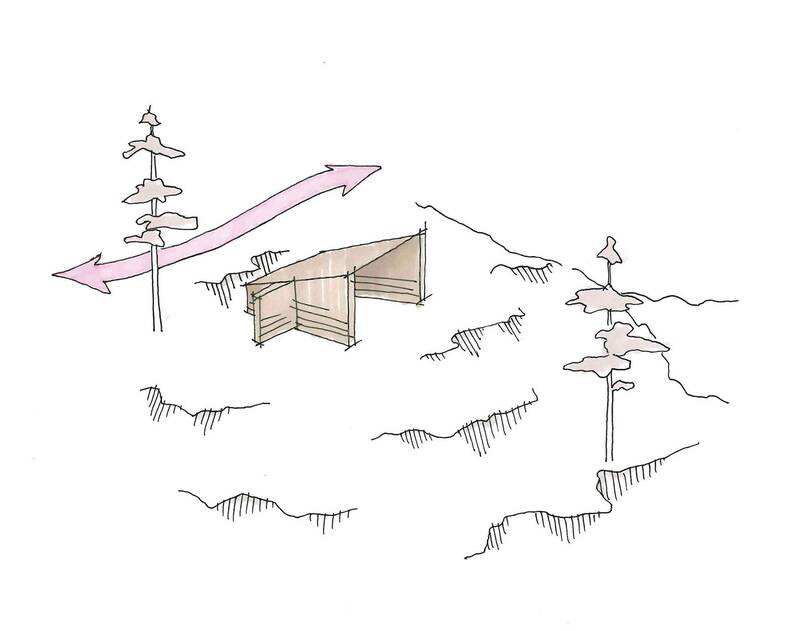 On the southern slope of Skuleberget mountain, bordering on the National Park, is the site of Team Forest’s shelter. A natural resting place after walking up the steep path. The concept of the project was to construct a floating platform, both to introduce new ways of engaging with the surrounding nature and trigger a sensory awareness by having the floor move as one walks upon it. 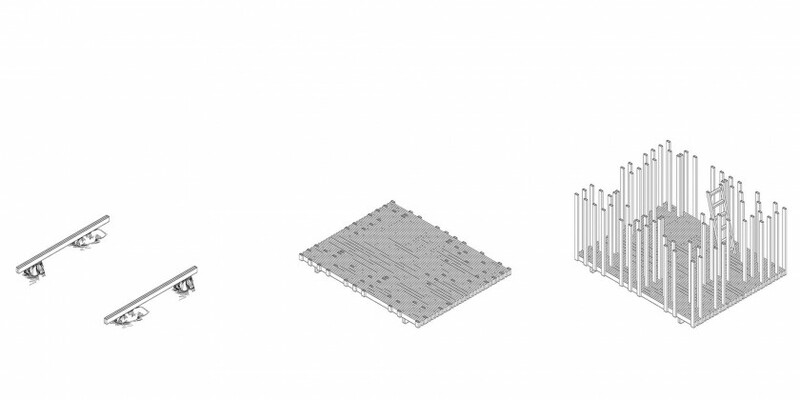 All the while keeping the structures footprint to a minimum. 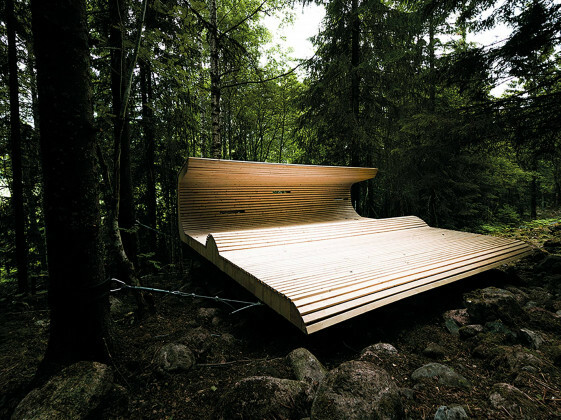 The result is the Forest Cradle, a 20-square-meter floating platform hanging from four trees, inviting the users to have a well-deserved pause and experience the swaying of the treetops and each other. 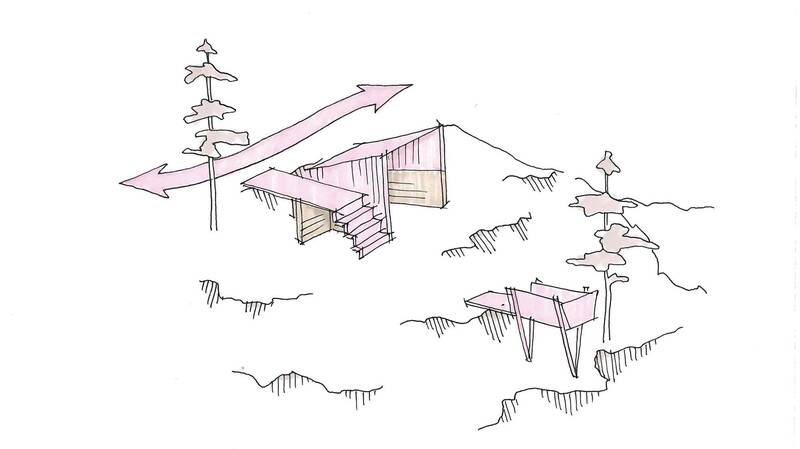 The shape of the platform invites new angles of view of the surrounding focus-ing on the National Park. The anchoring spruce where selected with help from the park ranger and are protected by an armored rubber band from the wire construction.